Purée raspberries in food processor and transfer to a bowl or measuring pitcher with pouring spout. Add simple syrup to raspberries and mix well. Add cream and stir, minimally. 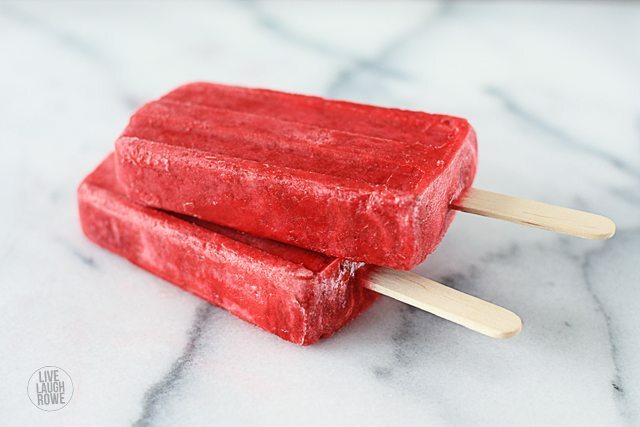 Pour mixture into popsicle molds, leaving a little extra room at the top for the mixture to expand. Insert sticks and place in freezer for 4-5 hours. Unmold and enjoy!